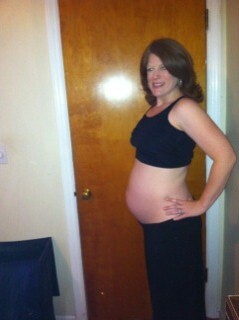 So … without any further ado, here I am, growing with baby!! We’ll be taking pics every 2 weeks. If you’re grossed out by belly shots, please don’t look — I won’t be offended! And I don’t know if they’ll all be bare-belly or not — haven’t decided yet. 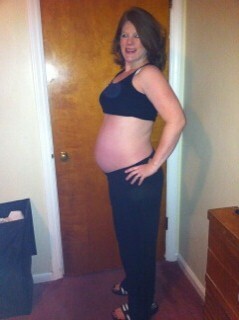 20 Weeks, Hola Baby Girl! 33 Weeks 4 Days WHOA Bump! These are so awesome!! You should print these out and make a flip book. I would love to take pregnancy pictures of someone at intervals this close together. crazy. I know that people kept commenting that you looked tiny while you were pregnant, and that it was troublesome to you. 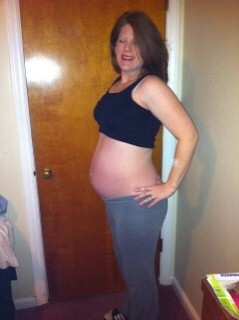 It’s amazing though, at 28 weeks, I am larger than you were at 39 weeks! And I’ve already put on 25 pounds. So funny. Our bodies are all just built so differently and respond so differently to pregnancy. I think I probably have a similar build to you as well (5’2″- 125 pounds pre-preg) and like you, work out most days and eat super well, but my body continues to pack on the pounds and my belly continues to get bigger and bigger. It just goes to show you that you can’t compare your body to anyone else’s. They all react differently. Hi Laney–so true that each and every one of us are different!!! 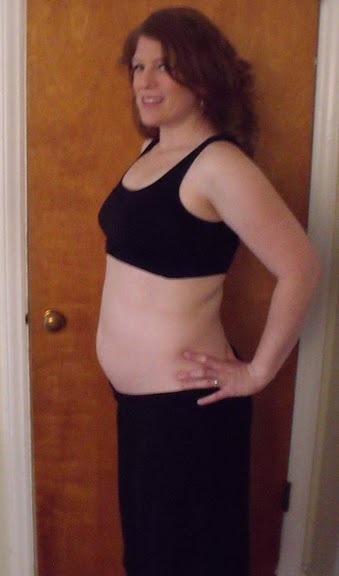 And I was 5’5 and 161.8 pre-preg (150 is my comfortable/easy-to-maintain weight). I gained 25 lbs and lost it within 4 months. Best wishes to you on your pregnancy! 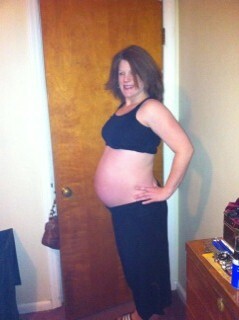 So funny- by your pictures you look pretty much identical to my pre-preg size. Numbers mean absolutely nothing! Just how you feel. You look wonderful, Laney! Enjoy!